The weak UK manufacturing PMI data put GBP under pressure and today the services PMI data from the UK will influence GBPUSD. 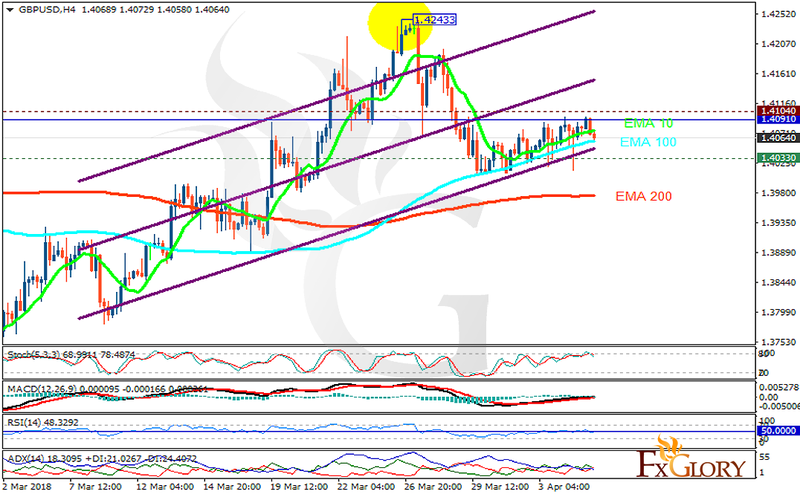 The support rests at 1.40330 with resistance at 1.41040 which the weekly pivot point at 1.40910 is located in between the lines. The EMA of 10 is moving with bullish bias in the ascendant channel and it is above the EMA of 200 and the EMA of 100. The RSI is falling below the 50 level, the Stochastic is showing downward momentum and MACD line is above the signal line in the positive territory. The ADX is showing weak sell signal. The resistance level breakout will push the pair up towards 1.42 otherwise it will drop to 1.39.